We know that every Windows hosting customers in Australia want to choose a cost-effective and reliable hosting to run their websites. Finding good and reliable Windows hosting in Australia is a very difficult task. Today, we will focus on two companies, DiscountService.biz and Austiger.com.au, to tell customers which one can be totally trusted by Windows hosting users in Australia. DiscountService.biz and Austiger.com.au are classified as two hosting companies which offer Windows Hosting in Australia. Who can serve the best and reliable Windows hosting in Australia? DiscountService.biz or Austiger.com.au? In below, carefully reviewed all the key aspects of their Windows hosting services, including pricing, hosting features, uptime, speed and technical support. DiscountService.biz is a line of business under Macrodata Enterprise (ABN: 42 797 697 621), specializes in providing web hosting service to customers in Australia. DiscountService.biz was established to cater to an under served market in the hosting industry, especially for customers who want excellent service. This is why DiscountService.biz continues to prosper throughout the web hosting industry’s maturation process. DiscountService.biz focus on offering affordable Windows shared hosting. Their new Windows 2008 / Windows 2012 hosting platform is perfect for your ASP.NET hosting needs and in case you need support on Windows 2003 Hosting Platform, they still support it. AusTiger.com.au is a subsidiary of Telligence Pty Limited, a provider of Web Development, Web Hosting, the PowerSites Content Management System and other Internet Services for 15+ years. Wholly Australian owned and operated, they have a proven track record in providing tailored premium web hosting solutions. Over the years, they have developed close relationships with many leading Web Development companies and have enjoyed being an integral part of their financial success by providing hassle free access to their range of services and expert advice. In order to evaluate the cost-effectiveness of DiscountService.biz VS Austiger.com.au, we need to have a comprehensive understanding of their features. To be fair, we presents information of both Windows hosting basic plans and list some essential features in feature table below. From the above table, it is easy to find that DiscountService.biz is powerful enough to offer richer Windows hosting features with the latest Windows Server, ASP.NET & ASP.NET all versions. Although they both provide the same amount of disk space, DiscountService.biz can give you more monthly data transfer than what Austiger.com.au gives. What’s more DiscountService.biz also provides you with unlimited domain hosted. Both DiscountService.biz and Austiger.com.au ulitilize the Windows leading control panel, Plesk. 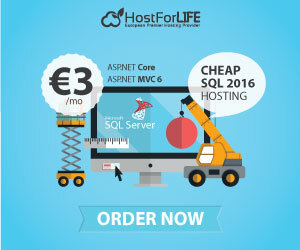 For your information, if you want upgrade your MSSQL database version into the latest, have to pay charged into your Austiger.com.au account for $25.00/month per database. Such an expensive price, right? DiscountService.biz offers 3 plans of Windows hosting in Australia. Their lowest plan is named as Economy plan from $7.00/month, Professional plan from $14.00/month. And the powerful plan is named as Business plan from $21.00/month by choosing 3 years payment system. When it comes to 3 months payment, they renew their India ASP.NET hosting price into $10.00/month, $20.00/month, and $30.00/month. On the other hand, Austiger.com.au offers 3 plans of Windows hosting in Australia. Their lowest plan is named as Standard plan from $29.95/month, Advanced plan from $59.95/month. And the powerful plan named Enterprise from $89.95/month. Both companies offer Australian-based 24×7 technical support, such as email and ticketing system. With their ticketing system, DiscountService.biz’s support team is very helpful and answer your ticket within 10 minutes. they often check their FAQs and receive many valuable suggestions from their users to make themselves better. While Austiger.com.au provides email, contact form and phone support to make your hosting experience as easy as possible. From the comparison above, it’s not easy to find the best and reliable Windows hosting in Australia. However, if we analyze it carefully, DiscountService.biz has many advantages over Austiger.com.au in aspects like features and pricing. Austiger.com.au has a lot to improve especially in features and marketing strategies. In a word, DiscountService.biz is worth recommending as the best and reliable Windows hosting in Australia.